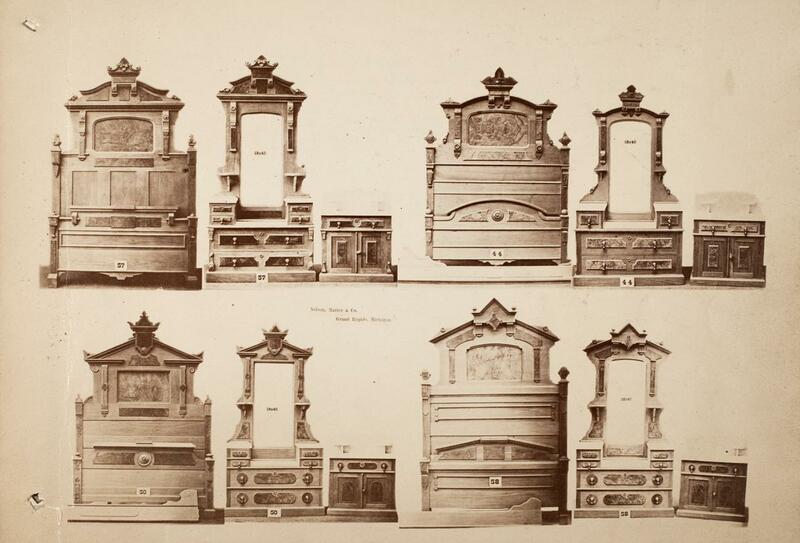 Unrelated pieces fill the page: 4 bedroom suites, six parlor tables, and what appears to be a hall piece lying down. A more organized page with 4 different bedroom suites, all standing upright. Cradles, two youth beds, what-not shelves, mirrors, and quilt racks share a page. 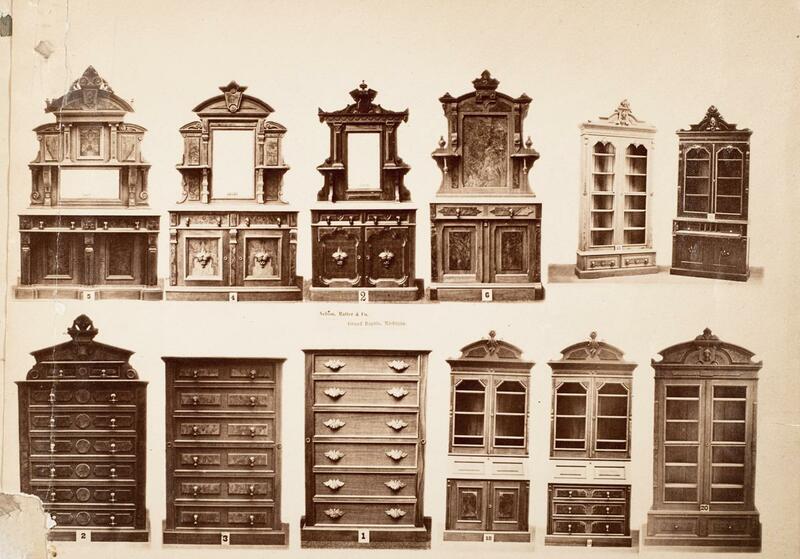 Furniture for the dining room and bedroom. 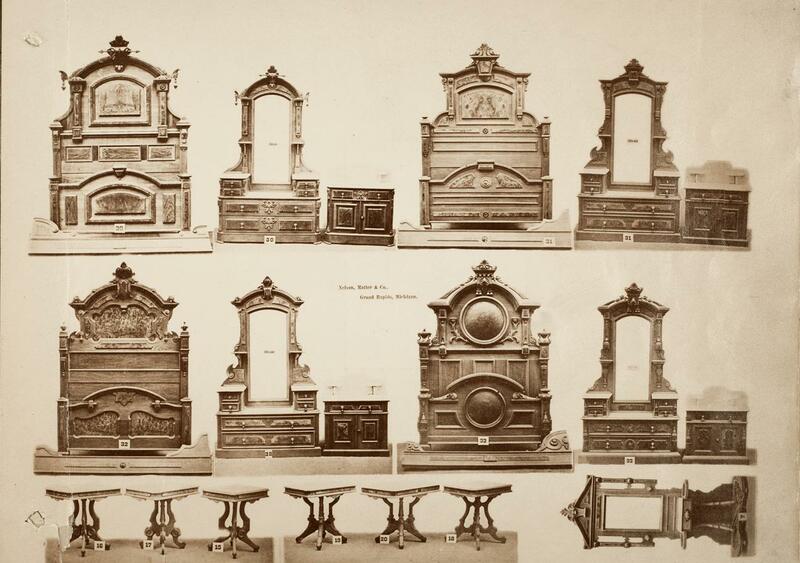 A page of desks in various sizes and styles. 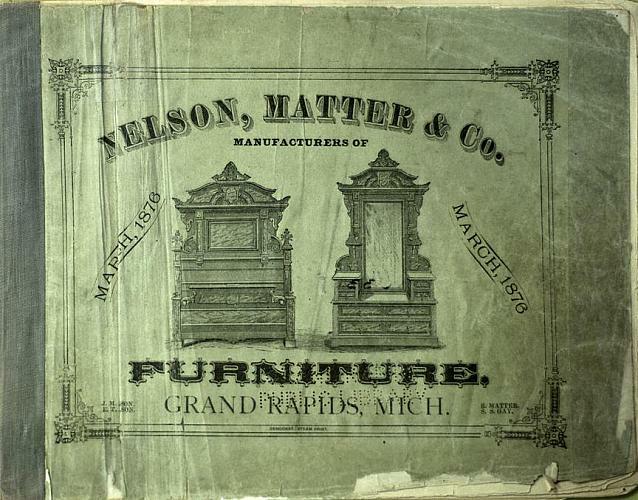 This 1876 Nelson, Matter furniture catalog with a blue-green soft cover is tattered at the corners and soiled from handling. Two large pieces of a bedroon suite are featured on the cover. "March 1876" printed diagonally identifies the production year of the pieces featured on the inside pages. Names of the officers are found on either side of "Grand Rapids": J.M. Nelson and E.T. Nelson at the left, E. Matter and S.S. Gay at the right. The printer, Democrat Steam Print, is identified at the bottom in very small print. 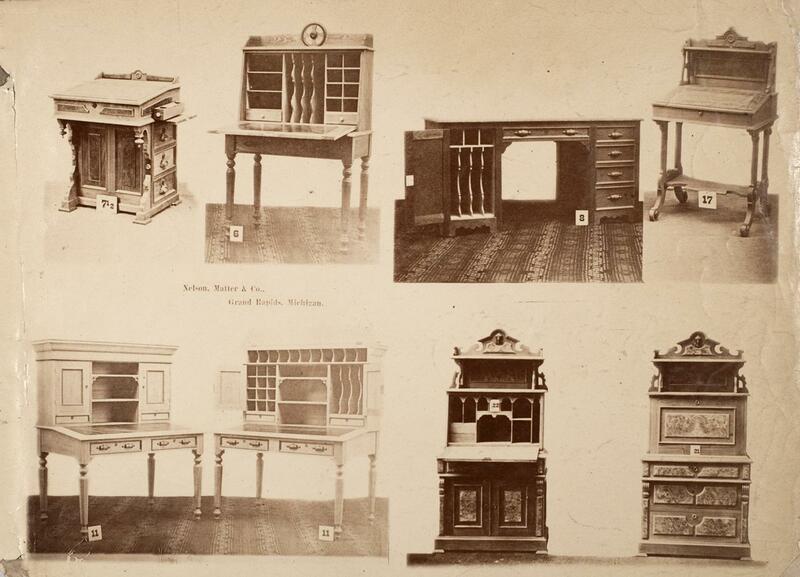 "Elias Matter, one of the founders of the Nelson-Matter Company, is said to have been the first furniture manufacturer to equip his salesmen with photographic samples and thus save the expense of making the miniature samples, but he did not really originate the idea. While in Jackson, Michigan he met a man who was taking orders for baby carriages using photographs as samples and on reaching home he immediately engaged a photographer and set him to work making pictures to be carried by the Nelson & Matter salesmen." Weekly Artisan, July 31, 1909, page 17. 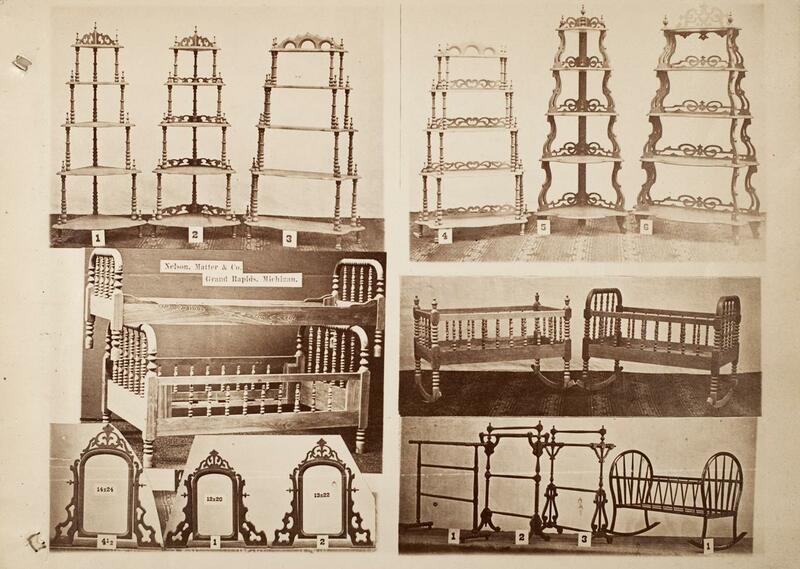 While the 1876 catalog may not have been the first Nelson, Matter catalog, it is certainly one of the earliest with photographs. Coll. 232-10, Grand Rapids History & Special Collections Dept.